A pipeline company was pulling pipe from an offshore rig in the Atlantic Ocean to connect to a newly constructed metering station in the middle of winter. 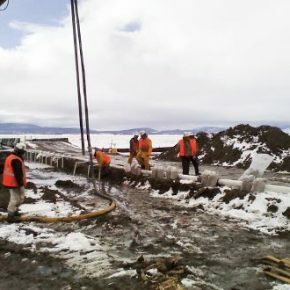 The pipe became stuck during the process and the pipeline company needed to excavate to a depth of 55-feet to reconnect the pipe and route it up to grade. Deep well dewatering was performed to reduce the water in the excavation and reduce hydrostatic pressure to make it safe for people to enter the cofferdam. 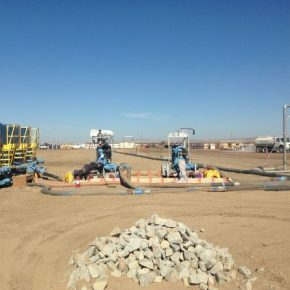 Groundwater from the excavation had to meet discharge requirements in order for the project to stay on track. 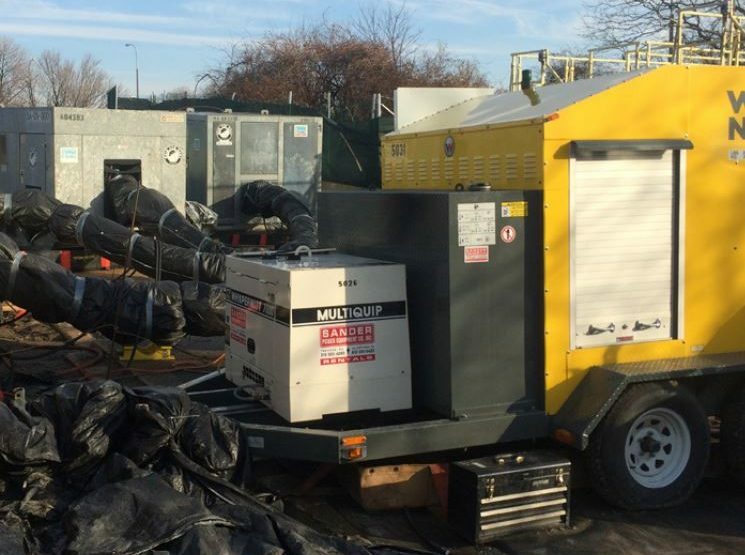 Rain for Rent provided a combination of 75 tanks, pumps, glycol heaters and spill containment to allow our customer to complete their work while meeting meet Department of Environmental Protection (DEP) discharge requirements while pumping at up to 10,000 GPM or 14.4 MGD. 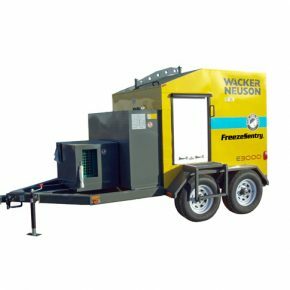 Rain for Rent kept equipment operating in extremely cold weather conditions with their E3000 glycol heaters. The project operated 24 hours a day, seven days a week for several months to keep the project on track. Rain for Rent provided emergency pumps to bypass a sewer line that was inadvertently hit during the excavation. 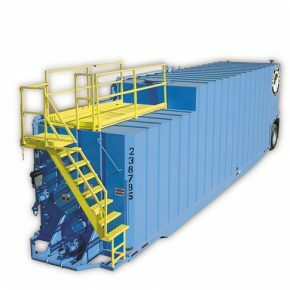 Downtime was minimized because Rain for Rent was on-site and commissioned to operate the dewatering system, solving any problems day or night. 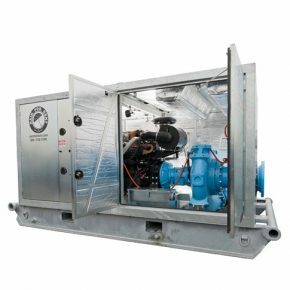 The customer was pleased that Rain for Rent was able to meet DEP discharge requirements on such a high flow. 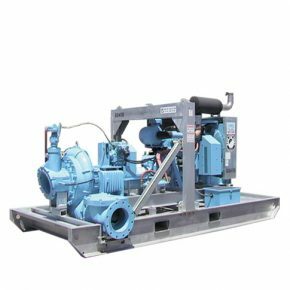 Because of Rain for Rent’s attention to detail, broad range of products, ability to anticipate customer needs, the customer is referring Rain for Rent for an upcoming DEP project.